McHenry County College announces the 2018 Great Lakes Bioneers Speaker Series featuring cutting-edge environmental topics. The three-part series takes place at 7 p.m. on Tuesday, Feb. 13, followed by a second topic at noon and a third topic at 6 p.m. Feb. 27 in the college’s Luecht Conference Center in Building B. The public is welcome to attend one, two, or all three presentations. Experts will share their views on ethics and the environment, renaissance art and vegetables, and women farming cooperatives in Central America. 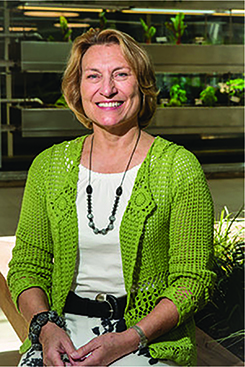 The speaker series is sponsored by the McHenry County College Sustainability Center. The first lecture on Feb. 13 will feature “The Path of Hope: Integral Ecology for Home and Hemisphere,” presented by Michael J. Schuck, Ph.D. and Nancy C. Tuchman, Ph.D., both from Loyola University. Schuck is a professor in the Department of Theology and Tuchman is founder and director of the Institute of Environmental Sustainability. They will explain the four key steps citizens need to take in order to heal the earth, both locally and globally. For a preview of the first Bioneers evening topic, listen to these Loyola experts live on the Mike Nowak radio show on WCGO AM 1590 from 10:15-10:47 a.m. on Sunday, Feb. 11. On Feb. 27, at noon, bring your own lunch to hear a presentation on “Renaissance Art and Vegetables,” presented by MCC alum James Nienhuis, professor of Plant Breeding and Genetics at the University of Wisconsin-Madison, will focus on the evolution of fruits and vegetables through art dating back to the 15th and 16th centuries. Nienhuis will also present “Women Farming Cooperatives in Central America,” from 6-8 p.m. on the same day, Feb. 27. On a project funded by USAID through the University of California-Davis, Nienhuis’ lab worked as a lead institution in an international project to promote sustainable vegetable production in rural areas of Guatemala, Nicaragua, Honduras and Costa Rica. 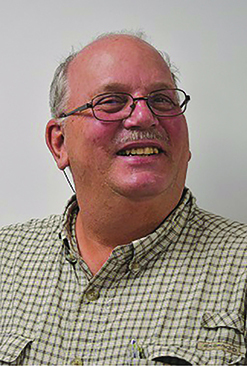 His presentation will share the science and the stories behind this international research project that impacted many people both in central America and in sustainable farming in the U.S.
Nienhuis grew up on a vegetable farm in rural Woodstock that eventually became Oney’s Christmas tree farm. He recalls attending MCC when it was housed in the Pure Oil Building. He later joined the Peace Corps, where his job quickly evolved into an attempt to control abuse of pesticides by rural farm families. 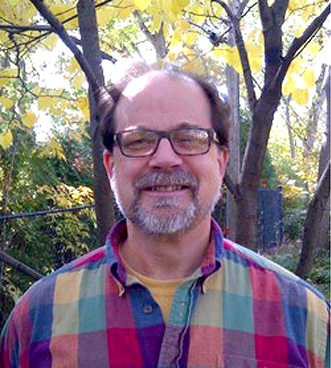 After the Peace Corps, Nienhuis studied agriculture science at the University of Illinois in Urbana and later completed his Ph.D. at the University of Wisconsin-Madison, where he will soon complete 30 years as a professor there. He continues his research internationally, including tomato grafting as an applied technology for rural women’s cooperatives in Central America. The speaker series is free and open to the public. For more information, visit www.mchenry.edu/bioneers or contact the MCC Sustainability Center at (815) 479-7765.